This website is intended for those persons 18 years of age and older and provides cannabis related content. T.H.Seeds™ cannot be held responsible for the actions of persons who purchase our cannabis seeds. We dispatch our seeds on the condition that they will not be used by others in conflict with applicable local law. Regulation and implementation in respect of cannabis seeds often differs from country to country. For this reason we advise you to make inquiries about the regulations to which you are subject. It is your responsibility to check with your local laws. As a T.H.Seeds™ customer, you are prohibited from distributing seeds to countries where possession of and/or distribution of cannabis seeds is illegal. To improve our service and because of your location, you are being forwarded to our partner website. If you're not being redirected automatically, please click the button below. T.H.Seeds™ accepts the following payment methods: Creditcards and direct bank transfer. T.H.Seeds™ accepts payments by creditcard. We offer 3-d Secure creditcard payment processing. We also use encrypted communication technology (HTTPS) to protect your personal and payment data. You can can see this in the top left of your browser's address bar (green lock). IMPORTANT: Please list your order number in the descriptions section of the payment. Once your payment has been received we will process and ship your order. Disclaimer: Check local and international regulations before ordering cannabis seeds. It is illegal in most countries to germinate cannabis seeds. 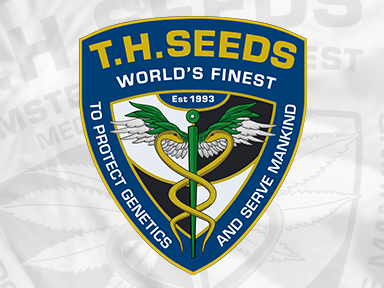 T.H.Seeds™ accepts no responsibility for persons who do not comply with local or international laws. All seeds are sold as souvenirs to be collected for educational purposes and for protection of the cannabis genetics.